He has been busy with a number of big-ticket movies in his career but he could not direct his dream project BajiraoMastani. The project has been delayed several times due to several reasons. Though Salman has been considered for the lead’s role, Salman walked out of the project due to several issues and the project has been kept on hold for many years. Now after almost 12 years, the movie completed shoot and released all over. Sanjay Leela Bhansali teamed up with Ranveer Singh and Deepika Padukone for the movie Ram Leela which released all over in 2013. Sanjay Leela Bhansali directed this epic love story and the movie has been declared as a blockbuster all over. Ranveer Singh and Deepika Padukone’s performances along with Sanjay Leela Bhansali’s narration and music are the major highlights of the movie. Impressed with the performances by the lead actors, Bhansali decided to bring back his dream project BajiraoMastani and he roped Ranveer and Deepika for the lead roles. 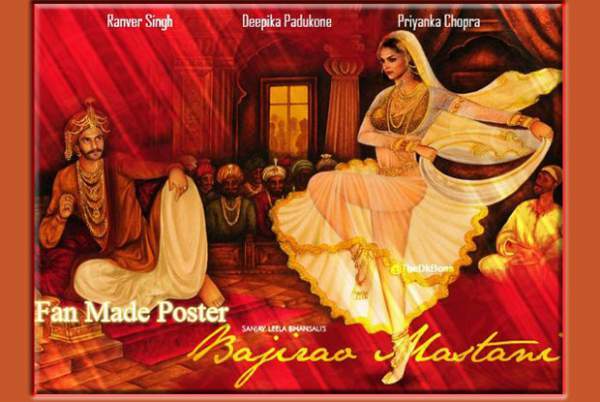 BajiraoMastani is the life story of PeshwaBajirao and his girlfriend Mastani. Ranveer Singh played Bajirao in the movie and Deepika Padukone played Mastani in the movie. BajiraoMastani has Priyanka Chopra as Kashibhai and the movie has been shot for over two years. The film has been made on a budget of Rs 210 crores and the music has been composed by Sanjay Leela Bhansali himself. The theatrical trailer caught the attention of everyone before the release and it increased the expectations on the film. Bhansali produced Bajirao Mastani on Bhansali Productions along with Eros International. Bajirao Mastani opened to 50% occupancy all over and the movie just collected Rs 12.80 crores on its opening weekend. The collections have been stable all over and the film collected Rs 46.77 crores in its first weekend. BajiraoMastani maintained strength on weekdays and the movie collected Rs 120.45 crores in 10 days of its box-office run. The movie collected Rs 8 crores today making the complete total Rs 128.45 crores. Ranveer Singh’s stupendous performance along with Deepika Padukone’s presence and their sizzling chemistry are said to be the major highlights of the film. Sanjay Leela Bhansali’s poetic narration along with the lavish sets and grand visuals are said to be the major highlights of the film.